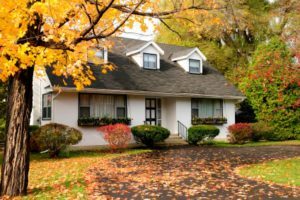 5 Fall Projects that Pay Off | Horne Heating and Air Conditioning Inc. Prepare your home for cold weather now. Preventative maintenance is easier and cheaper than repairs or replacements. Below are 5 Fall Projects that tackle home maintenance tasks that make a huge difference. Water running off from the roof to the ground can’t pass through when gutters are clogged with leaves. In the winter, standing water can freeze worsening the problem. Leaking pipes can burst anytime. During winter, leaked water can freeze which makes repairs more difficult. Get in a plumber to fix leaks when problems are more manageable and less likely to cause more damage. Leaks can allow cold air in and hot air to seep out. This will cause your heating system to not work as effectively as it should, which translates into higher energy bills. Use weather stripping and caulk to seal leaks. Moisture can damage wooden surfaces and facilitate the growth of molds and fungi. Water will run off of painted wood but not off of peeling paint.